Gear Oil There are 2 products. 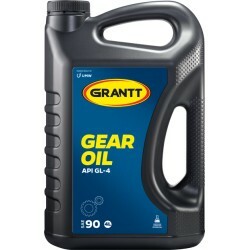 PRODUCT DESCRIPTION GRANTT GEAR OIL SAE 140 is specially formulated to meet and exceed the requirements of API GL-4 service. It is fortified with extreme pressure additives for excellent protection of gear units, bearings and hypoid differentials which require aPi GL-4 performance.